Advanced BioRecovery Solutions is both insured and bonded setting itself apart from other bio recovery companies. While Advanced BioRecovery Solutions has an immaculate customer service and safety record, we have opted to provide additional protection to our Clients, adding a Bonded policy to Advanced BioRecovery Solutions’ insurance portfolio. To secure a Bond, the candidate company must be vetted by the issuing bonding company to ensure they are trustworthy and in good standing. Liability insurance protects Clients against specific types of losses. Bonding protects the Client in the event poor workmanship or non-performance occurs. Advanced BioRecovery Solutions takes the extra step to inspire Client confidence in our suite of services and bringing compassion and dignity to the bio recovery industry. If for any reason you are not completely satisfied, Advanced BioRecovery Solutions will remedy the problem in an efficient and timely manner. Our work is complete when the client is satisfied. ABS uses state-of-the-art equipment to ensure each job is completed with the right tools and equipment for the job. In addition, Advanced BioRecovery Solutions’ certified technicians are equipped with proper PPE (Personal Protective Equipment) to ensure their safety. Bio recovery is an emerging and developing industry. 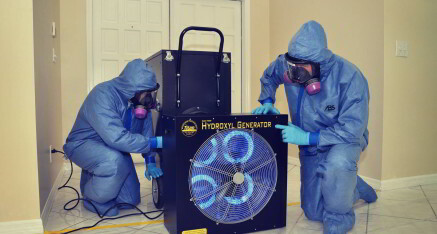 Individuals and companies requiring bio recovery services should exercise caution when selecting a bio recovery company to handle their decontamination and restoration needs. Many companies are undertrained, ill-trained or have never been trained in bio recovery clean up, transport and disposal. Far more have not obtained the proper permits to generate and transport bio-hazardous waste. These companies lack the knowledge and skillsets to safely clean, disinfect and decontaminate sites exposed to hazardous waste, placing occupants and the community at risk. 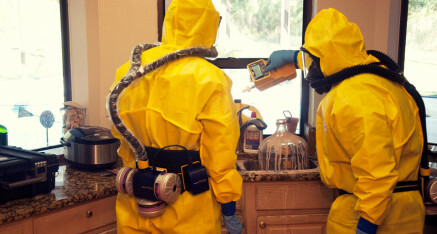 Selecting a NIDS (National Institute of Decontamination Specialists), IICRC (Institute of Inspection, Cleaning and Restoration Certification), ABRA (American Bio Recovery Association), and HAZWOPER (Hazardous Waste Operations and Emergency Response standard) certified bio recovery company will ensure that company follows ethical business practices, is properly trained and has the mechanisms in place to comply with State and Federal regulations and industry standards governing the cleanup, transport and disposal of biohazard materials. 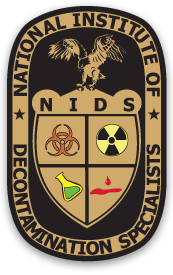 Click images to learn more about NIDS, IICRC, ABRA and HAZWOPER. Advanced BioRecovery Solutions sets itself apart in the bio recovery industry, completing the rigorous NIDS, IICRC, ABRA and HAZWOPER training and certification programs. 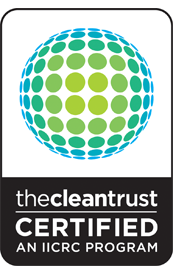 We are one of just two companies in the state of Florida carrying this designation. Nationwide, ABS is in an elite group of just 1% holding NIDS and ABRA certifications. At ABS safety is paramount. 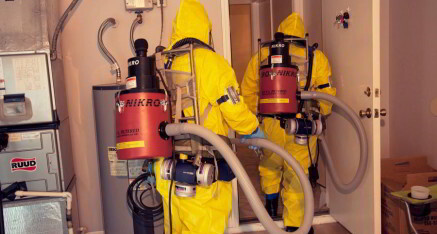 The biohazard recovery and disposal process is an involved, complex and labor-intensive operation. Companies lacking proper training and certification could and have made mistakes during the cleanup process, leading to catastrophic outcomes. We place client, employee and community safety at the forefront of the recovery and disposal process. 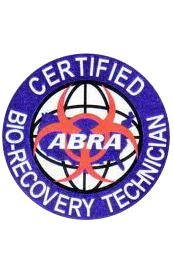 ABS Bio Recovery Technicians are certified in biohazard cleanup, decontamination, restoration, transport and disposal procedures. These certifications include: First Aid and CPR, Blood Borne Pathogen, NIDS, IICRC, ABRA and HAZWOPER. Advanced BioRecovery Solutions Technicians receive annual, biennial and triennial training in State and Federal regulations, ABS protocols and procedures, equipment and chemical applications and cutting edge bio recovery techniques. The State of Florida requires that all bio recovery companies register with the State and pass stringent inspections to meet strict standards governing the generation and transport of biohazardous waste. A company or individual who uses a bio recovery company that is not properly permitted may assume liability for mishandled biohazard waste collected and transported by that company. Advanced BioRecovery Solutions is registered and permitted with the State of Florida to generate and transport biohazardous waste.